It’s only 10am but the sun is so hot it feels like midday. Women on the streets of Mohlakeng township in Randfontein shield themselves with colourful umbrellas. Vuk’uzenele is visiting this township west of Johannesburg to interview one of its youngest and most successful businessmen. Vusi Ndlovu is very popular here. People wave as he drives through the streets in his 4x4 bakkie. The community love and respect Ndlovu - not only because he is young and successful, but also because he has achieved more than most others his age, despite difficult circumstances. Ndlovu is only 27 years old and owns a big supermarket and butchery. He also rents out part of the building housing these shops. A good headline for Ndlovu’s life story would be: "From rich to poor and back again." Asked if his success was due to being single and living with his mother, Nlovu laughs. "No, not at all!" He explains that in 1990 his father, a well-known businessman in Mohlakeng, became ill. Close family members took over his father’s businesses. When his father died in 1996, these family members kept Ndlovu and his mother out of his late father’s businesses. Then his mother got sick and Ndlovu had to support her. He started doing crime to make money. "We did things like hijacking cars and stealing. In 1998, I was arrested for car theft and was sentenced to six years in prison." Ndlovu decided to change his life. "I studied in prison and passed my matric. I did courses in business management, woodwork and curtain making," he says. After nearly four years, Ndlovu was released in 2002. But during this time the bank had taken back some of his father’s businesses. Others had closed. He went to his family and told them he wanted his father’s businesses back. 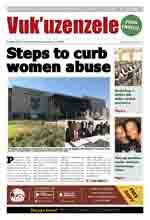 "My father had left me about R10 000 for schooling. I used it to start a business selling sweets and chips at schools." 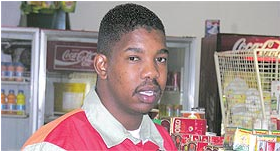 He enrolled at the SAB Kick-start programme which helps people start businesses. Since then Ndlovu has won several awards. 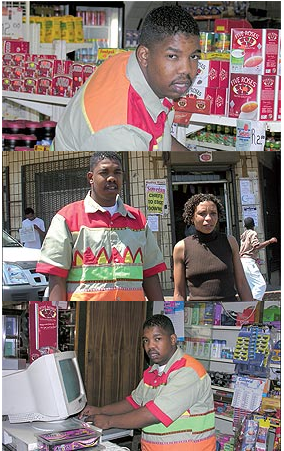 In 2004, he got R100 000 for the most improved business and won an award from the Nations Trust. Ndlovu’s hard worked has paid off and his business now makes a profit of R1,5 million a year. He employs 12 workers and has reclaimed some of his father’s businesses from the bank.